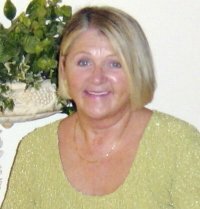 Christine Delorey is a world renowned numerologist and author of several books. including an extra ordinary book named LIFE CYCLES: Your Emotional Journey To Freedom And Happiness. I’m very pleased and honored to have Christine here, so please take a moment to read this interview and then head on over to her site creativenumerology.comto check out what she has to offer, Let’s get to it! 1. Hi Christine, thank you so much for doing this interview with me. Please tell everyone a bit about yourself and your site, and anything else, you’d like our readers to know about you. - where a LOT of free information is available. 2. What first inspired your passion in numerology, and when did you decide to devote your life to it? I am not sure if I found numerology or it found me. My connection to numbers occurred as the result of a serious car crash in 1978 at Heathrow Airport. I was 26 years old. For several weeks, in my ‘unconscious’ state, my mind was swimming in numbers, which moved and reacted to whatever was happening to me physically and mentally. With most of the bones on the right side of my body broken, including my hip and jaw, there was enormous pain … and terrible confusion because I did not know what had happened to me. After I regained consciousness weeks later, the numbers remained in my head and I thought I was going completely mad! Some months later, I came across an old book on numerology - a subject I had never heard of - and from then on, it all started to make sense. My mind was finally able to calm down, and I grew more and more fascinated. Still, I was reluctant to stay involved. It all seemed a little crazy. But after a couple of years of fighting it, I realized that this was not something I could just ‘give up’. It had become a large part of who I am. 3. Numerology according to one’s date of birth or numerology according to one’s name – which one is more effective in your opinion? My books and website concentrate on the date aspect (not just a person’s date of birth, but also the day-by-day dates we are living in now) because SO much information and inspiration can be received from that angle. It tells us our position. It tells us where we stand in our personal journey - which brings a lot of clarity. However, both are essential for the deepest understanding, because the name forms one’s identity and helps us discover who we are. I provide the full combination in my private readings. 4. You have used the term ‘creative.’ What did you mean by creative numerology? Is there anything special with this term? Like anything else, numerology can be used for good or bad. Or it can be used in a superficial way which devalues its true worth. I use the word ‘creative’ because that is the intent behind what I do. It is my intent to provide a creative tool which helps the individual heal from whatever hurt remains trapped within, so that they can create what they desire in their lives. 5. Would you please explain what personal year book is? How much effective and accurate is this calculation? 6. Do you believe changing a name or signature can realign the scattered energies with in us? More specifically, can this change alter our luck? It has often been said that when a woman gets married and takes the name of her husband, her whole personality changes. Of course it does. Changing one’s name changes one’s entire sense of identity, sometimes to the extent that the person involved doesn’t know who they are any more. As for changing one’s name to bring luck or realignment, I suppose it could work in some cases, but my experience so far is that it brings confusion instead. Changing one’s name to give oneself better numbers does not mean that the person will be any more able to utilize those numbers than the ones they originally had. Your birth name is so important because it explains your karma - which is not something you can magically remove by changing a letter here or there. Karma is cause and effect. Karma is that which we have been unable to learn. Karma is that which we came into our individual lifetimes TO learn. By altering your name, you are refusing to face your karma. So, no, I am NOT a fan of name changes unless the name itself causes pain or loss of dignity. 7. Let us hear your comments on healing power. The healing that numerology can bring is connected strongly to the shift in energy when the numbers of the old millennium of the masculine/electric/intellectual 1000s changed to the feminine/magnetic/emotional 2000s. We only have to look out into the world to see how the old “I AM” system is crumbling. For as long as we refuse to accept that, the longer it will take us to figure out HOW to create a new “WE ARE” system in which balance gives all human beings a chance to experience life as the evolving voyage of discovery it is meant to be. All over the world, the cry for equality is loud and clear. As we move further into the feminine, we are evolving emotionally. The vibrations that are coming from our feelings are expanding our minds and opening our hearts. Our emotions need to be understood, healed, and love, not reviled and denied as has always been the case until now. Emotional healing is not an easy process. The turmoil taking place all over the world is a reflection of the turmoil we each need to heal within. All of my work is written on this basis. 8. Christine, Thanks again for spending time with me today. My last question is of a personal nature. Do you believe a numerologist really does a job for the betterment of mankind? If yes, we would like to hear from you how? That all depends on who the person is and whether their intent is loving or not. I am aware of a few people who are using this knowledge to spread fear and hatred. But, yes, of course, I do believe it CAN be used for the betterment of humanity. That is the firm intent behind all of my work. In fact, my deepest intent is that my intent will always be loving. Thank YOU, Jayanti. I hope you and your readers will visit my website and feel for yourselves what this work is all about. Thank you very much. With LOVE!